On behalf of the Committee on Academic Freedom (CAF) of the Middle East Studies Association of North America (MESA), we write to voice our dismay at the way the administration of Birzeit University has addressed the controversy surrounding the caricatures Professor Musa Budeiri placed on his office door. Indeed, the actions of the university administration to date risk establishing a dangerous precedent that privileges those who resort to intimidation and violence to contest the freedom of expression. MESA was founded in 1966 to promote scholarship and teaching on the Middle East and North Africa – the preeminent organization in the field. The Association publishes the International Journal of Middle East Studies and has nearly 3000 members worldwide. MESA is committed to ensuring academic freedom and freedom of expression, both within the region and in connection with the study of the region in North America and elsewhere. As a committee of MESA charged with monitoring infringements on academic freedom, we are very concerned about the recent developments at Birzeit University. In spite of the insurmountable challenges BZU has confronted in recent decades, it has heretofore served as an exemplary model of free academic exchange, not only for Palestine, but for the region as a whole. The vibrant political and social debates that have taken place at Birzeit University have shaped several generations. We are disappointed that the BZU administration has not been unequivocal in its support of Professor Budeiri. For example, the administration has insisted that Professor Budeiri should issue a personal apology as a way to diffuse tension, and to date, the students responsible for the incitement against Musa Budeiri, including making threats to his life and demanding that he be fired, have not been disciplined. The university’s statement condemning the incitement does nothing to fulfill its obligation as an academic institution to guarantee the security of all its members. More important, the actions of the university administration to date have done nothing to protect the members of the university – students, faculty, and staff alike – from the excessive demands of an extremist group. Such threats, regardless of the political affiliation of the perpetrators, need to be guarded against if the academic principle of free inquiry and expression is to be upheld. We are also concerned about the request by the university administration that Professor Budeiri take an unpaid leave of absence so as to protect himself. Such a course of action establishes a dangerous precedent, one that is sure to embolden extremist elements who believe they can influence university policy (and force people out) by threats and intimidation. We realize that as a retired faculty member who continues to teach, Professor Budeiri’s contract is renewed on an annual basis. Even though his contract for the coming year has not been formally renewed, his classes are already listed in the course schedule. To refuse to renew his contract now would therefore be a clear capitulation to the students contesting Professor Budeiri’s freedom of expression. To change the courses that he is listed to teach in the future to elective courses, in order to be able to say that students objecting to his opinions need not enroll in his courses, is yet another capitulation to unreasonable demands – even if the latter are buttressed by threats of boycotts by the students now expressing their own opinions in such a violent manner. The university administration needs to reconsider the reasoning behind these possible decisions with a careful view to the consequences they will have for the future of academic freedom at BZU. Professor Budeiri has served Palestinian academe for over 27 years, 19 of them at Birzeit University. His expressions of political and social criticism have never been limited to religion. Those opposed to his freedom of expression should be reminded of this and his important contributions. 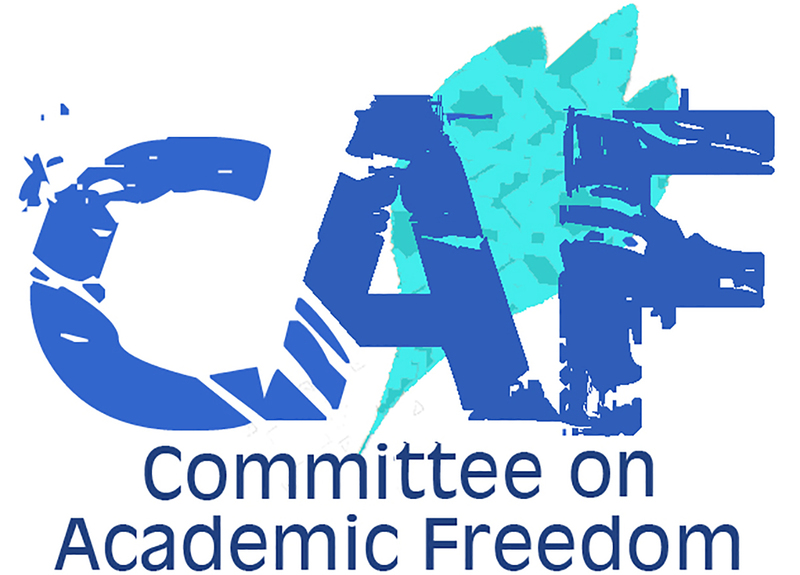 Although the members of CAFMENA understand that some people might object to the cartoons Professor Budeiri posted on his door, we are convinced that it is the duty of an academic institution to help its members learn how to disagree with opinions they dislike in reasonable, constructive ways. We hope that in this instance, as in so many others BZU has faced in the past, it and its administrators will live up to this higher principle.